This premium gel floatant is the world&apos;s best fly floatant. Aquel is long lasting, silicon based and won&apos;t melt when it&apos;s hot or harden when it&apos;s cold. Furthermore, it masks human odor and won&apos;t leave any slick on even the calmest water. (Pronounced "ahh kwel"). 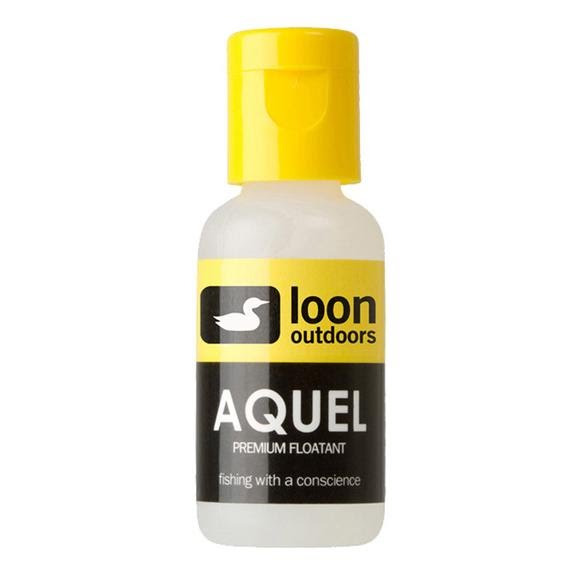 Official fly floatant of Fly Fishing Team U.S.A.
Ease of Use: Prior to first cast, apply desired amount of Aquel to fly. Use fingers to work Aquel into hair and hackle. If fly becomes water logged, use powder desiccant to dry, then reapply.